If a restaurant has a small menu then it makes you hopeful they’re an expert in what they’re offering. When a chef is overstretched and trying to produce tens of dishes at once, they can’t take care and attention over the individual dishes. So I had high expectations about Burger and Lobster as there are only three dishes on the menu – Burgers, Lobsters and Lobster Rolls. 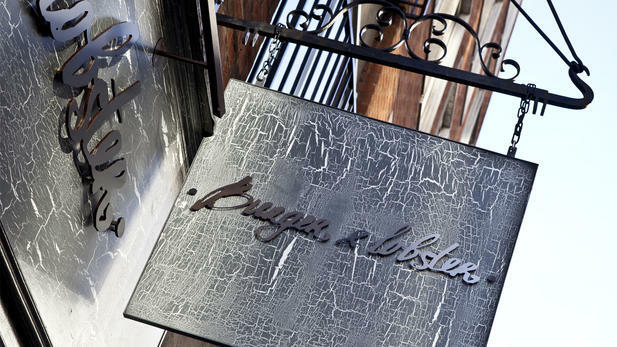 I’m a bit late to join the party for once as the first Burger and Lobster opened in London in 2011, but in my defence I try to avoid places where you can’t make reservations as I despise queuing and at Burger and Lobster you can only make a reservation if you have more than six people in your party. Instagram made me change my mind. If you look at a photo of a well cooked burger then you need it in your life and in your mouth immediately! Or is that just me? Anyway, my sister and I hoped that if we went late – around 930pm – on a Tuesday night then it wouldn’t be too busy. We chose the Bond Street location out of the 10 dotted across London so that we could do a spot of shopping at Selfridges first. I mean, this blog is all about living like a VIP after all. Luckily, a table for two was available straight away and we were led downstairs by a friendly waiter. The decor is smart but nothing special and I have to say that I think my sister expected more judging by the fact that it’s a restaurant that serves lobster. I put things into context by reminding her of all the boring and generic tourist trap restaurants in the Bond Street area and also that we would only be paying £20 a head. For that price, you’re not going to get marbles and mirrors, are you? The menu, not that we needed it, was written on a blackboard. 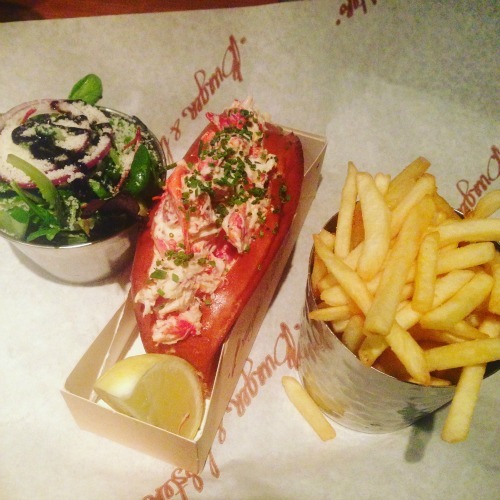 Options were what we expected – burger, lobster or lobster roll served with chips and salad for £20 each. I went for the lobster roll and my sister went for the burger so that we could share. At first, I was sceptical of the salad. What was the point when we were indulging in calorific burgers and lobster with mayo? However, the dressing on the salad was divine and there was some kind of cheese sprinkled on top. I found it pretty more-ish and I surprised myself by finishing the bowl. When it came to the main meals, I have to say I wasn’t disappointed by the promise of the small menu. 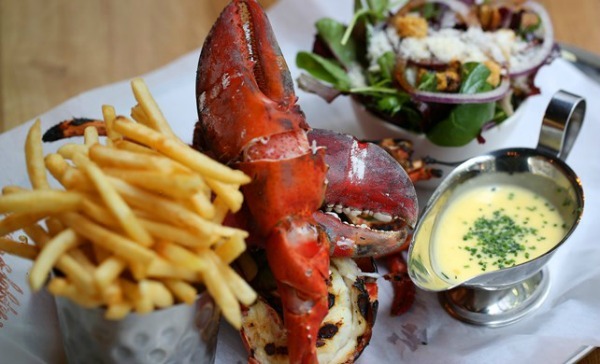 The attention to detail is brilliant as the lobster is perfectly creamy and contrasts well with the sweet brioche roll. The burger has just the right amount of tomato, pickles and onion inside and the chef will gladly slice it in half for you if you tell them you’re sharing. Have you been before? What did you think? We were almost tempted by a cocktail but we’re trying to do Dry January so that will be something for the next visit. 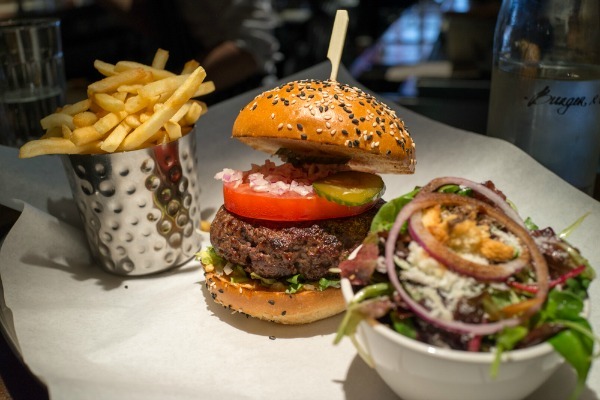 For more details, visit the Burger and Lobster website. It’s open 7 days a week from lunchtime til late, so it’s very convenient and a perfect pitstop during a shopping trip.